Ankit Gupta finds everyone at GrapeCity to be a source of inspiration, making his coworkers one of his favorite aspects about working for the company. Before working at GrapeCity, he graduated from Sharda University at Greater Noida with a Bachelor's of Technology in Computer Science & Engineering. 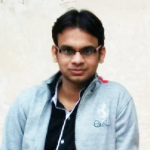 When he has spare time, Ankit enjoys travelling, reading, and playing chess. In this blog we would cover the need for the axis groups in charts and how to use them. Histogram and ranged histogram charts empower you with more flexibility to visualize distribution and dispersion of statistical data. Here's a look at how to read and when to use them. In this blog, we’ll walk you through how to let the end-users annotate and perform different operations on the annotations. We know annotations are helpful in communicating information, but identifying relevant data points for annotation might not be obvious. If overused, annotations can distract user's attention from the data, so it's important to have the right balance. Line and area charts are simple yet powerful ways to represent trends in data, but they’re not the best fit for data that changes at irregular intervals with constant data segments between those changes. This is where Step charts — a chart type in which data points connect in a step-like progression — come into play. With the addition of three new chart types in ComponentOne’s 2017 v3 release of FlexChart, you can now better visualize this kind of data with FlexChart.